Suicide prevention is a topic that often isn’t addressed enough. 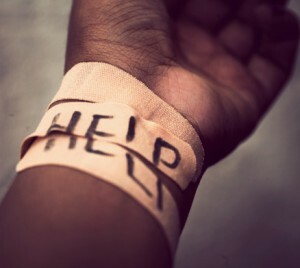 It’s a hard thing to talk about, whether you are the one having the suicidal thoughts or you’re afraid a loved one is. Facebook is now trying to help in a big way. This past week they rolled out new features that are designed to make it easy to deliver support to anyone who puts up a post about possibly committing suicide. If one of your Facebook friends posts something that makes you think they may be in danger of harming themselves, you can report the post to Facebook. To do that, all you have to do is click the arrow at the top right of the post. You will be given the option to contact the friend who made the post, contact another friend for support or contact a suicide prevention hotline. Once you have reported the post to Facebook using any of the options, specially trained staff will look at the post. If they determine that it seems distressing, the person who made the post will be greeted with pop up messages the next time they log into Facebook. The message will be totally private, but it will let the Facebook user know a friend is concerned that they are going through something difficult and asked Facebook to look at a recent post. The friend who reported the post remains anonymous. Facebook will then direct them through several options including looking at the distressing post, encouraging them to call a friend, offering simple tips to help immediately and finding a local mental health professional who can help. Facebook has had a way to report potential suicidal content since 2011. But this is the first time that anyone can do it directly from a post. Before now, you had to seek out Facebook’s suicide prevention page and upload a screenshot of the post or the URL. This new feature isn’t available to everyone yet in the U.S. But it will be in the next few months. Here at the TMS Center of Colorado, we see the impact that people wrestling with taking their own lives has on themselves and on their loved ones. Depression can make it easy to believe that suicide is the only way out from this debilitating disease. But there is hope, tools and support for anyone who is battling depression. We hope these new Facebook features become one more valuable tool to help prevent anyone from taking their own life.